Sure, the nations of the Far East are known for their beautiful women but we think it's high time they became known for their hot men too! At Gay Asian Chat City, you can connect with these men for yourself and enjoy steamy chat sessions any time you like. You'll quickly find that your taste for gay Asian men can easily be satisfied right here with a spicy chat session any time you want! See for yourself just how easy it is to connect with them! We've got members from any and every Asian country you can think of -- Japan, China, Thailand, Korea, Myanmar, and Laos among others -- and they're ready to chat with you. All you need to do is sign up and create your personal profile to get immediate access to many of the great features we offer. You can browse member profiles and pictures, pop into any of our chat rooms and see what's being talked about, and even join in if you're feeling comfortable. Even if you're not comfortable at first, there's no doubt you'll soon be right at home with the bevy of beautiful Asian men eager to chat with you. We even have one-on-one chat available for you when you fire up your webcam and find a willing partner! Let Gay Asian Chat City change the way you meet Asian men. 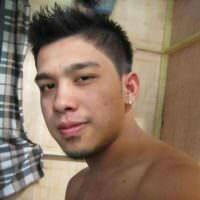 You'll quickly discover that a world of high quality Asian guys exists right at your fingertips. Just register and start enjoying yourself with Asian men who are ready, willing, and able to connect with you whenever the urge to chat strikes!